Exactly ten years ago today the Iranian opposition group, Mujahideen al-Khalq (MeK), revealed the full details of a uranium enrichment plant at Natanz and a heavy water plant at Arak in Iran. Since then Iran and the international community- since 2006, the P5+1 (the U.S., Russia, China, the UK, France and Germany) –have been locked in a diplomatic battle that has ground to a stalemate. The P5+1 has managed to sanction Iran’s oil exports, isolate the country from the international banking system, and make it an international pariah. Iran, meanwhile, has managed to enrich uranium to twenty percent, which involves most of the expertise required to enrich to weapons-grade levels. It runs several thousand centrifuges (the equipment needed to enrich uranium) at its Natanz plants and has a large stockpile of low-enriched uranium [LEU] from which it could conceivably manufacture a nuclear weapon. Neither side will budge; the specter of an Iranian bomb is closer than ever. We have come ten years without a solution because there has been a failure to understand, on a fundamental level, what Iran wants and how it seeks to achieve it. The roots of Iran’s nuclear program lie not in physics but in Iranian history. From Russia’s nineteenth century invasions of Iran to the 1953 British and American-led coup that overthrew the democratically-elected Iranian Prime Minister, Mohammad Mossadegh, foreigners – so the Iranian narrative goes – have sought to “dictate” to Iran. During the 1979 Islamic Revolution that overthrew the Shah of Iran and replaced him with the Ayatollah Khomeini, crowds walked through the streets carrying banners of Mossadegh and chanting “Margh-bar Amrika” (Death to America). The 1953 coup, already iconic in the national consciousness, was reduced to a simple homily about the perfidious role of Western powers in Iran. For the Shah the world was a stage, and its international institutions the opportunity for him to play upon it. 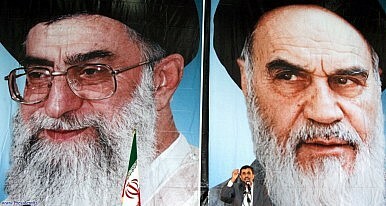 The Islamic Republic, conversely, views the world as essentially hostile, and many hardliners argue for a national security policy based on the most atavistic elements of Khomeini’s worldview: international institutions and diplomacy are symptoms of an inequitable world, and a farce – self-reliance is the only option. And if the world was unfriendly in 1953 they believe it is far worse now. The Iranians are scared; and they want respect – they feel the world has not accorded them their due. As Iran’s Ambassador to the IAEA, Ali Asghar Soltanieh, told me some years ago in Vienna, “We are a nation with 5000 years of history, the world should not speak to us like animals.” The nuclear program is a symptom of these impulses. A civil nuclear program brings a developing country like Iran a prestige to which it is keenly sensitive – it is a shortcut to a much-desired modernity, and to technological advancement. A nuclear bomb, may give the country the security it craves. Precedent is important here. Following the 9/11 attacks the U.S. invaded Afghanistan to destroy the Taliban – a regime that had harbored and supported Al Qaeda. But Islamabad had also harbored and supported Al-Qaeda, was a longstanding sponsor of terrorism, and a dictatorship with a dismal human rights record that had also spawned the AQ Khan network. Despite all its help in Afghanistan, Iran was declared a triumvir in the ‘axis of evil’ while Secretary of State Colin Powell described Pakistan as a major ally in the Global War on Terror. Washington then of course went on to smash an Iraq that turned out not to have WMDs. Many in Tehran have concluded that the White House treats nuclear states differently.